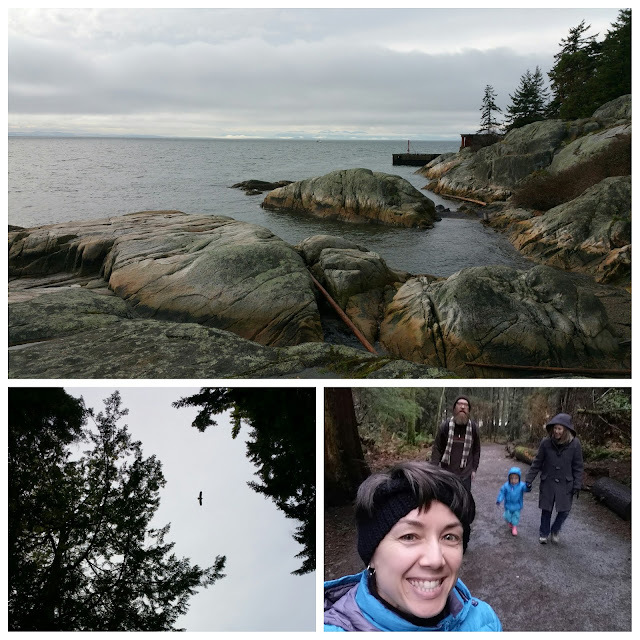 Yesterday we went for a walk in Lighthouse Park with a friend & her dog. Of course, I brought along my Urban Poling Activator poles, & we were able to walk around the trails for an hour. That might not seem like a big deal to you, but it's been years since I'd been to Lighthouse Park. I'm still finding it so much fun to do things like seawall walks or light hiking like this because I'd been avoiding it for so long with all the pain I had in my hip. The combination of the nordic poles & the weight I've lost means I'm a lot more mobile now, with much less pain, after a few years of hobbling around & avoiding walks. I actually didn't even feel sore the day after our walk! So glad I finally got a diagnosis last summer & started making changes to manage my osteoarthritis better. Here are a few more pics we snapped in the park. I tried to capture all three of the juvenile bald eagles that were soaring around over our heads & chittering the huge trees, but I only managed to get one. 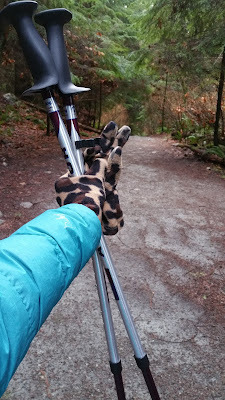 Disclaimer: I just wanted to mention that I was not compensated to write about or link to Urban Poling--I just really like the poles I bought from them! Inspirational blog post! Love it! 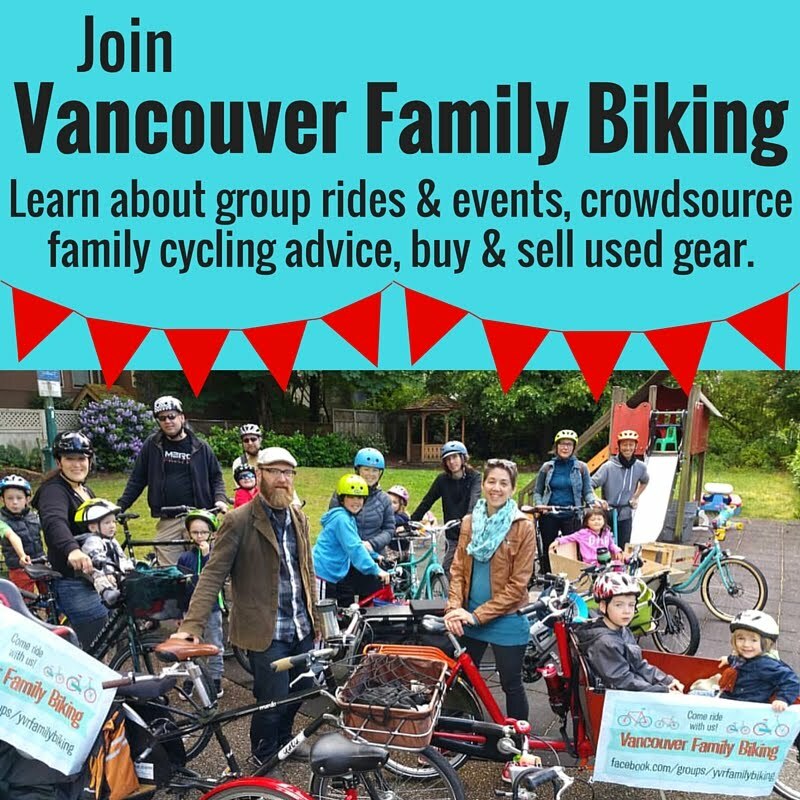 Keep on walking and talking and sharing!